Privacy and data are very much at the forefront of public consciousness at the moment. 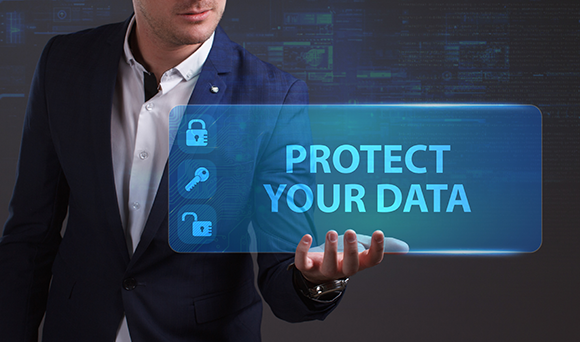 Whether it’s what information the world’s largest social media platform shares, or who can and can’t be marketed to via email thanks to the recent introduction of General Data Protection Regulation (GDPR), it’s an issue that’s on everyone’s mind one way or another. And rightly so. If you’re thinking about setting up as a possible limited company in the near future, it’s a topic you need to understand. After all, for all the benefits of starting out as a limited company (tax breaks, limited liability), there are a few data issues that arise as soon as you get your company formed. As the UK’s leading network of accountants focused on the small business market, TaxAssist Accountants takes data and privacy extremely importantly – both in how we handle our own data and how we help clients keep their own data off of the public register. It’s the latter of these two that we want to talk about here today. When someone forms a limited company, a wealth of information is automatically placed on the public register (via the Companies House register of companies). The reason for this? It’s all to do with transparency, ensuring the Government and other businesses hold a fair amount of information about who’s behind a business. This is exactly why, a few years ago, we saw the introduction of the people with significant control (PSC) register – so someone can easily find out who owns a business. However, it is possible to hold back some personal address information. Because keeping back residential address information for directors is particularly effective when it comes to the fight against identity fraud, a crime that – according to gov.uk – company directors are twice as likely to be victims of. The registered office and director’s service address are both on the public register. The director’s residential address is not. So, what’s the problem? The privacy issue occurs when the residential address is also used as the registered office and/or service address (which is technically allowed), therefore placing the residential address on the public register. But of course not everyone has access to an alternative address. If you fall into this category we strongly recommend discussing this with your TaxAssist Accountant who will be able to provide you with a registered office/service address service.